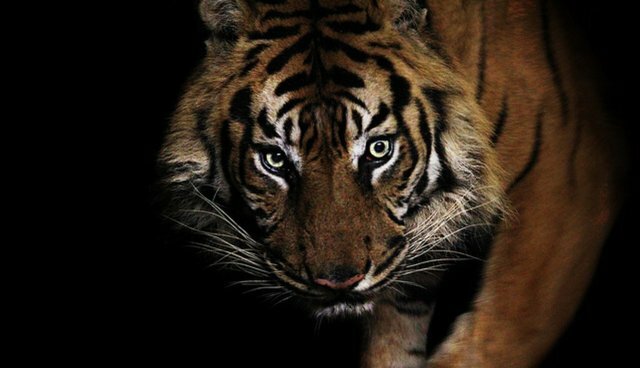 While Earth has seen a disturbingly large number of species extinctions lately, the sheer number of wild animals on the planet is also taking a hit. According to a new report, the number of animals alive today is less than half what it was four decades ago. "The scale of biodiversity loss and damage to the very ecosystems that are essential to our existence is alarming," said Ken Norris, Director of Science at the Zoological Society of London (ZSL). "This damage is not inevitable but a consequence of the way we choose to live." 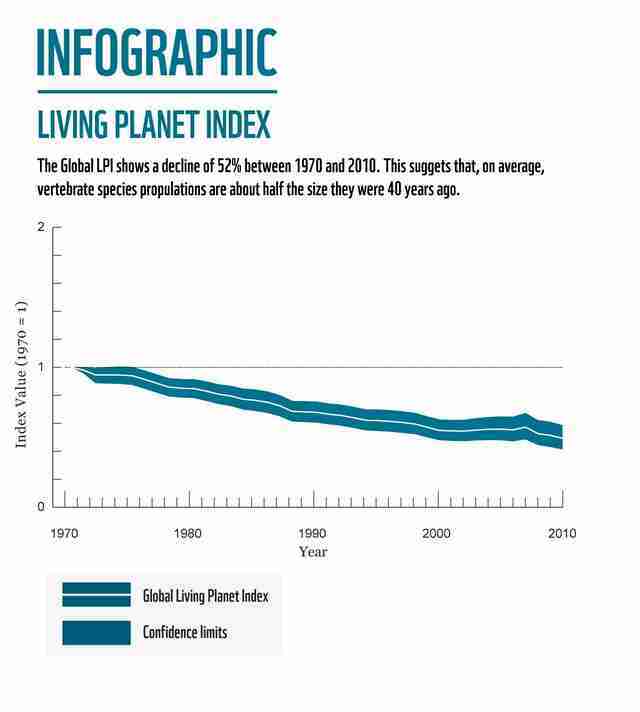 To get to this figure, conservationists calculated what's known as a "Living Planet Index" (LPI). They analyzed 10,000 different populations, including over 3,000 species. Their smaller sample was used to give a rough estimate of the state of Earth's 45,000 known vertebrates. They found that the number of mammals, birds, reptiles, amphibians and fish, has declined by 52 percent since 1970. Freshwater species were the hardest hit, with a whopping 76 percent decline. And animals in Latin America showed the most dramatic decline - a fall of 83 percent. The report notes that human activities are directly to blame for the steep declines. Habitat degradation, exploitation and climate change were pointed to as the most impactful pressures on wildlife. The report's authors, the World Wildlife Fund and ZSL, say that the need for sustainable resource management and reducing our global ecological footprint is essential. "Biodiversity is a crucial part of the systems that sustain life on Earth – and the barometer of what we are doing to this planet, our only home. We urgently need bold global action in all sectors of society to build a more sustainable future," said WWF International Director General Marco Lambertini.